Throughout 25 years spent at the Royal Opera House in numerous roles, Findlay was committed to widening access to opera and ballet. Paul Findlay, Director of Opera of The Royal Opera from 1987–93, has died. New Zealand-born Findlay was a dynamic presence at the Royal Opera House for 25 years. He first joined the Royal Opera House in 1968 in the Press Office and in 1972 became Assistant Director to John Tooley, where he worked until his appointment as Director of Opera. His tenure as Director of Opera saw the appointment of Jeremy Isaacs as General Director of the Royal Opera House and Bernard Haitink as Music Director of The Royal Opera. Perhaps the most notable aspect of Findlay’s career at the Royal Opera House was his commitment to making opera and ballet accessible to, in his words, ‘as wide a public as possible’, well beyond the confines of Covent Garden. He played a leading role in creating Schools’ Matinees and initiated Big Top performances for The Royal Ballet and Sadler’s Wells Royal Ballet, where the ballet companies performed in circus tents around the country. The first BP Big Screen in Covent Garden Piazza in 1987 was his initiative, and he also pioneered open-air concert performances of opera at Kenwood House, Hampstead Heath, in addition to numerous broadcasts of opera and ballet on BBC television and radio. Further initiatives include, in 1991–2, The Royal Opera’s performances of Turandot at Wembley Arena, seen by more than 50,000 people. He introduced the use of surtitles at the Royal Opera House, transforming audience response to opera performed in its original language. Findlay was committed throughout his time at the Royal Opera House to ensuring there was access for the disabled to see performances at Covent Garden. He was no less active in finding ways for audiences to enjoy opera and ballet at home. In 1979 he launched Covent Garden Video Productions, the first video arts company of its kind, and in 1989 established Covent Garden Records, in association with Conifer Records. Further innovations include the computerization of the box office and the introduction of phone credit-card payments. Between 1976 and 1988 he arranged more than 50 tours of the Royal Opera House companies to more than 30 countries, including China, India, Korea, Russia and New Zealand. He was responsible for bringing many visiting companies to the Royal Opera House, including La Scala, Milan, New York City Ballet, Paris Opera Ballet, Bolshoi Ballet, Kirov Opera and Ballet, Dance Theatre of Harlem and Central Ballet of China. As Director of Opera he strengthened links with other British companies through co-productions and shared performances, particularly with Scottish Opera and Welsh National Opera. 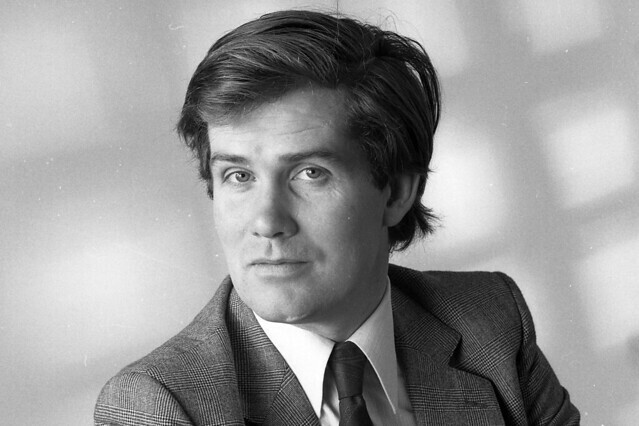 During his tenure as Director of Opera Findlay doubled the number of productions new to the Royal Opera House seen per Season, and established co-productions with companies from across Europe, the Soviet Union and the USA. Particular highlights of his directorship included the UK premiere of Berio’s Un re in ascolto, in an award-winning production by Graham Vick; the world premiere of Birtwistle’s Gawain, broadcast on BBC Television; and Götz Friedrich’s Ring cycle, conducted by Haitink. In 1988 Sian Edwards became the first woman to conduct at Covent Garden, conducting performances of Tippett’s The Knot Garden. After retiring as Director of Opera Findlay went on to work with the Royal Philharmonic Orchestra and the Mariinsky. Peter Katona, The Royal Opera’s Director of Casting, says, ‘Paul Findlay made important contributions to the development of The Royal Opera during his tenure as Opera Director, and his unfailing enthusiasm and energetic personality will not be forgotten by anyone who worked with him’. Alex Beard, Chief Executive of the Royal Opera, adds, ‘Paul Findlay was wonderful man and a great friend and colleague to all those he worked with at the Royal Opera House over so many years. His dedication and commitment to this great institution was coupled with a determination to extend the reach of both opera and ballet, ensuring that both new and wider audiences had the opportunity to enjoy these remarkable art forms. His warmth and wisdom will be hugely missed and all our thoughts are with his family at this difficult time’. He was an inspiration to the world of Opera and Ballet! I am very sad to learn of the death of Paul Findlay. He played an important role in my career and was instrumental in our collaboration on many overseas tours undertaken by The Royal Ballet, The Royal Opera and [the then] Sadler's Wells Royal Ballet since 1979. Paul was an inspirational character with boundless energy and infectious enthusiasm. He shall be greatly missed. My hearfelt condolences to Francoise and the family. For 50 years I was privileged to be able to call Paul a good, good friend, and a colleague who upheld the highest standards of integrity and professionalism. Ever since our days as students at the London Opera Centre and his earliest forays into the world of opera as a stage manager with the English Opera Group, his positive energy and unquestioning loyalty were evidenced over and over again. Rarely have I found such a supportive, knowledgeable administrator, caring and concerned about the artistic product and all those involved. A true gentleman. I am very sad to hear of the passing of Paul Findlay. I attended many great performances at Covent Garden when I was a student in London in the mid 80s. He would have a kindly word for us queuing for student standbys and for the Proms and was very approachable and friendly. He fired my enthusiasm for the opera and I think of him every time I return to Covent Garden. RIP Paul - thank you and enjoy the music up there with your favourite artists! Very sad news. Paul was my first boss and a very genuine, patient and supportive man to work with. The House obituary for Paul has been enormously appreciated by myself and the children and grandchildren. Paul's passion for his work was something he wanted to share with the widest possible public; the highest possible standards for the greatest number of people, at home and abroad. That was his goal. The death of Paul Findlay is a traumatic and tragic shock. For four decades he was to me a beacon of devoted and graciously generous professional and private support. I first discovered his deep passion for opera when I was a young member of the orchestra in the Royal Opera House, and it was not long before I was to benefit crucially from his boundless creative imagination and dedicated advocacy when I changed my profession. Ever radical but profoundly respectful of old and new alike, Paul fearlessly and proactively supported people and principles he believed in. Among his multifarious contributions to the ROH, I would particularly like to single out his pioneering success in the creation of Covent Garden Video Productions in 1981, a major landmark for international opera dissemination. With all his heart, Paul loved opera, all those who made it happen, and all others who loved the art form. His departure from us is a heart-breaking loss.